Who doesn't love a good salad in the summer? 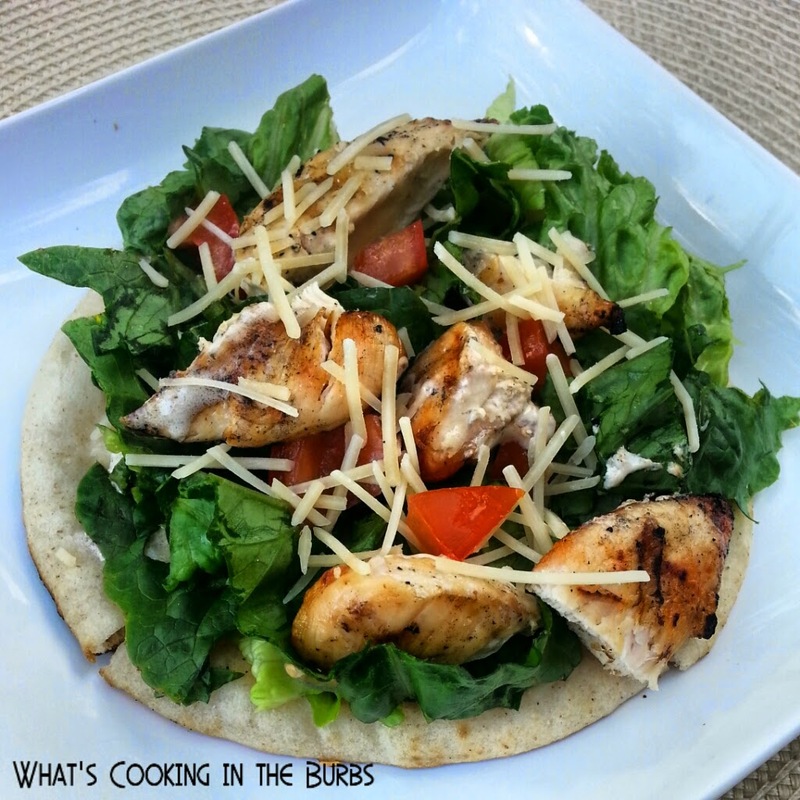 I sure love them and one of my all time favorites has to be a Grilled Chicken Caesar Salad. Combine that with some tasty flatbread and you've got one delicious dinner! Season chicken with salt and pepper and grill for 6-7 minutes on each side. Brush some of the Caesar dressing on each side until finished cooking, remove from heat. Slice into ¼-inch strips. Sprinkle flatbread with shredded mozzarella and grill until cheese is melted. To Assemble: Divide the sliced chicken between each flatbread. Top with the lettuce, tomatoes and drizzle with the Caesar dressing. Top with shredded Parmesan cheese and serve. Enjoy!